TLJ Daily E-Mail Alert No. 691, July 1, 2003. July 1, 2003, 12:00 NOON ET, Alert No. 691. 6/30. The U.S. Court of Appeals (7thCir) issued its opinion [23 pages in PDF] in In Re Aimster Copyright Litigation, affirming the District Court's preliminary injunction affecting the Aimster (aka Madster) file copying system. Introduction. The Appeals Court affirmed the District Court's preliminary injunction based upon the plaintiffs' showing of a likelihood of success on the merits on the issue of contributory infringement. The District Court had also based its preliminary injunction upon vicarious infringement; however, the Appeals Court only briefly addressed this basis, and without reaching a clear holding. The Appeals Court also briefly rejected Aimster's various other arguments, such as those regarding the District Court's failure to hold an evidentiary hearing, the Digital Millinnium Copyright Act (DMCA), and First Amendment rights. The Appeals Court's opinion is clear that it affirmed the District Court's preliminary injunction. It did so upon an application of facts specific to the Aimster system. Many of the facts relied upon by the Court in affirming the District Court will not be present in other cases involving peer to peer file swapping networks, or involving other internet based infringement. The opinion is 23 pages. But, it has no separate opinions or footnotes. It is densely packed with substantive analysis that will be pertinent in other cases, and legal debates, involving internet based copyright infringement. Judge Richard Posner, the dean of the law and economic movement wrote the opinion. Yet, there is little economic analysis. There is also very little reliance upon precedent from other lower courts, or the opinion of the District Court. (The A&M Records v. Napster case is cited only twice -- once to say that the 9th Circuit erred, and once to say that the 9th Circuit sidestepped an issue. The District Court had relied heavily on the Napster case). Finally, Judge Posner wrote the opinion with his usual efficient use of words, but without his usual clarity. Posner quipped that "To the recording industry, a single known infringing use brands the facilitator as a contributory infringer. To the Aimsters of this world, a single noninfringing use provides complete immunity from liability. Neither is correct." His opinion is an examination of considerations pertinent to finding where between these two arguments the dividing line may be. His analysis, which is not always clear, contains much that may be of concern to copyright owners whose products are infringed via the internet. For example, he argued that the Ninth Circuit erred in its contributory infringement analysis in the Napster case. Readers interested in developments in copyright law may wish to read the opinion in full, rather than rely upon this article. District Court. This is multidistrict litigation involving copyright related cases directed at shutting down the file copying service once named Aimster, and later renamed Madster. Plaintiffs are owners of copyrighted music, including record companies, songwriters and music publishers. The defendants are related to the Aimster file copying service, including its founder, John Deep, and companies founded to develop its software and to operate the system. Eleven lawsuits were initiated in various U.S. District Courts. They were consolidated and assigned to the U.S. District Court (NDIll). On September 4, 2002, the District Court issued its Memorandum Opinion and Order granting a motion for preliminary injunction to plaintiffs. The Court held that the "Plaintiffs have unequivocally established that Aimster's users are engaged in direct copyright infringement." It rejected Aimster's Audio Home Recording Act (AHRA) defense. The Court next held that the plaintiffs demonstrated a likelihood of success on the merits that Aimster engaged in both contributory and vicarious infringement. The Court rejected Aimster's defense that its service is capable of substantial non-infringing uses, under the Supreme Court's decision in Sony v. Universal City Studios, 464 U.S. 417 (1984). The Court also found that Aimster is not eligible for any of the safe harbor protections of the Digital Millennium Copyright Act, because of its failure to comply with 17 U.S.C. § 512(i). See also, story titled "District Court Finds Contributory and Vicarious Infringement by Madster" in TLJ Daily E-Mail Alert No. 502, September 5, 2002. On October 31, 2002, the District Court issued its Preliminary Injunction Order. The Order provides that "Aimster is preliminarily enjoined from directly, indirectly, contributorily, or vicariously infringing in any manner any" of plaintiffs' copyrighted works. The Order continues that "Aimster shall immediately disable and prevent any and all access" to any of plaintiffs' copyrighted works "available on, over, through, or via any website, server, hardware, software, or any other system or service owned or controlled by Aimster ..."
Finally, the Order mandates that "Aimster shall affirmatively monitor and patrol for, and preclude access to" plaintiffs' copyrighted works on the Aimster system including "by employing such technological tools and measures that are reasonably available to carry out such obligations." See also, story titled "District Court Enjoins Aimster" in TLJ Daily E-Mail Alert No. 541, November 4, 2002. Appeals Court. A three judge panel of the Court of Appeals affirmed the District Court. Judge Posner wrote the opinion, in which Judges Ripple and Williams joined. Judge Posner began by offering this preface to the case: "If the music is copyrighted, such swapping, which involves making and transmitting a digital copy of the music, infringes copyright. The swappers, who are ignorant or more commonly disdainful of copyright and in any event discount the likelihood of being sued or prosecuted for copyright infringement, are the direct infringers. But firms that facilitate their infringement, even if they are not themselves infringers because they are not making copies of the music that is shared, may be liable to the copyright owners as contributory infringers. Recognizing the impracticability or futility of a copyright owner’s suing a multitude of individual infringers ... , the law allows a copyright holder to sue a contributor to the infringement instead, in effect as an aider and abettor." Posner is known for his application of economic analysis to legal principles. However, this opinion contains little economics. He also possesses less enthusiasm for intellectual property protections than many members of the Congress and the federal judiciary. Yet, he upheld the injunction. This opinion is largely a discussion of, and application of, the Supreme Court's holding regarding contributory infringement in the Sony case to the facts of the present case. The Supreme Court in that case held that Sony did not contributorily infringe copyrights by selling the Betamax machine, because it had "commercially significant noninfringing uses", including "private, noncommercial timeshifting in the home". The bulk of Posner's opinion is devoted to affirming the District Court's conclusion that the plaintiffs had demonstrated a likelihood of success on the merits on the issue of contributory infringement. In the process, Posner gave a detailed review of the technology of the Aimster system, and how it is used, as well as the Betamax recorder, and how it is used. Posner also drew principles from other areas of law. For example, he analogized contributory infringement to "the tort of intentional interference with contract, that is, inducing a breach of contract". He continued that "If a breach of contract (and a copyright license is just a type of contract) can be prevented most effectively by actions taken by a third party, it makes sense to have a legal mechanism for placing liability for the consequences of the breach on him as well as on the party that broke the contract." (Parentheses in original.) He also resorted to principles from criminal law -- regarding criminal intent and aiding and abetting -- when analyzing when constructive knowledge of actual infringement is sufficient to sustain a finding of liability by a contributory infringer. Posner wrote that Sony's "video recorder was being used for a mixture of infringing and noninfringing uses and the Court thought that Sony could not demix them because once Sony sold the recorder it lost all control over its use." Posner next addressed the Supreme Court's use of the terms "copying equipment" and "the sale of other articles of commerce", noting that Aimster provided a system, rather than a piece of equipment. He noted that the plaintiffs argued that "the provider of a service, unlike the seller of a product, has a continuing relation with its customers and therefore should be able to prevent, or at least limit, their infringing copyright by monitoring their use of the service and terminating them when it is discovered that they are infringing." He concluded that "the ability of a service provider to prevent its customers from infringing is a factor to be considered in determining whether the provider is a contributory infringer." However, he added that "It is not necessarily a controlling factor". He added that "If a service facilitates both infringing and noninfringing uses, as in the case of AOL's instant-messaging service, and the detection and prevention of the infringing uses would be highly burdensome, the rule for which the recording industry is contending could result in the shutting down of the service or its annexation by the copyright owners (contrary to the clear import of the Sony decision), because the provider might find it impossible to estimate its potential damages liability to the copyright holders and would anyway face the risk of being enjoined." Posner continued that "We also reject the industry's argument that Sony provides no defense to a charge of contributory infringement when, in the words of the industry’s brief, there is anything ``more than a mere showing that a product may be used for infringing purposes.´´" He added that the Supreme Court in Sony "was unwilling to allow copyright holders to prevent infringement effectuated by means of a new technology at the price of possibly denying noninfringing consumers the benefit of the technology." Posner also added that "the Ninth Circuit erred in A&M Records, Inc. v. Napster, Inc., 239 F.3d 1004, 1020 (9th Cir. 2001), in suggesting that actual knowledge of specific infringing uses is a sufficient condition for deeming a facilitator a contributory infringer." Posner also wrote the "we reject Aimster's argument that to prevail the recording industry must prove it has actually lost money as a result of the copying that its service facilitates." He continued that "when a supplier is offering a product or service that has noninfringing as well as infringing uses, some estimate of the respective magnitudes of these uses is necessary for a finding of contributory infringement. ... But the balancing of costs and benefits is necessary only in a case in which substantial noninfringing uses, present or prospective, are demonstrated." He analogized from the criminal law. Just as a drug trafficker can not escape criminal liability by insulating himself from the actual transaction, "no more can Deep by using encryption software to prevent himself from learning what surely he strongly suspects to be the case: that the users of his service -- maybe all the users of his service -- are copyright infringers." But Posner also hedged. "This is not to say that the provider of an encrypted instant-messaging service or encryption software is ipso factor a contributory infringer should his buyers use the service to infringe copyright, merely because encryption, like secrecy generally, facilitates unlawful transactions." He concluded that "Our point is only that a service provider that would otherwise be a contributory infringer does not obtain immunity by using encryption to shield itself from actual knowledge of the unlawful purposes for which the service is being used." Posner reviewed the possible non-infringing uses of the Aimster service, such as swapping non-copyrighted music, and concluded that it all comes down to "the question is how probable they are". This completed Posner's discussion of contributory infringement. He then shifted to vicarious infringement. However, he dwelt only briefly on this issue. He wrote that "we are less confident than the district judge was that the recording industry would also be likely to prevail on the issue of vicarious infringement should the case be tried, though we shall not have to resolve our doubts in order to decide the appeal." Posner also briefly rejected the free speech arguments of Aimster. But then, Posner was bound to, given the Supreme Court's recent opinion in the Eldred case. On January 15, 2003, the Supreme Court issued its opinion [89 pages in PDF] in Eldred v. Ashcroft, upholding the constitutionality of the Copyright Term Extension Act, against, among other things, a challenge that it violated the First Amendment. See also, TLJ story titled "Supreme Court Upholds CTEA in Eldred v. Ashcroft", January 15, 2003. 6/30. The General Accounting Office (GAO) released a report [103 pages in PDF] titled "Bioterrorism: Information Technology Strategy Could Strengthen Federal Agencies' Abilities to Respond to Public Health Emergencies". The report states that "Many of the activities under way to prepare for and respond to public health emergencies -- including bioterrorism -- are supported by information technology (IT), which can better enable public health agencies to identify naturally occurring or intentionally caused disease outbreaks and can support communications related to public health." The GAO focuses on IT at six federal agencies involved in bioterrorism preparedness and response, the Department of Agriculture (USDA), Department of Defense (DOD), Department of Energy (DOE), Department of Health and Human Services (HHS), Department of Veterans Affairs (VA), and Environmental Protection Agency (EPA). The GAO found that these six agencies "have a large number of existing and planned bioterrorism-related information systems. Specifically, these agencies identified 72 information systems and supporting technologies, as well as 12 other IT initiatives. Of the 72 systems, 34 are surveillance systems, 18 are supporting technologies, 10 are communications systems, and 10 are detection systems." The GAO further found that "The use of emerging information technologies to support the public health infrastructure could help to improve federal agencies' abilities to prepare for and respond to public health emergencies. Agencies have taken steps to adopt such emerging technologies. For example, Los Alamos National Laboratory is working on a Web-based system called the Forensics Internet Research Exchange, which supports the sharing of biothreat information among research and government agencies and uses public networks to securely transport private intra-agency and interagency information. However, barriers exist, such as the lack of a mechanism for identifying and prioritizing appropriate emerging information technologies for their transition into the public health community." The GAO also recommends "setting priorities for IT initiatives and coordinating the development of IT standards for the health care industry." 6/30. President Bush signed HR 2312, the ORBIT Technical Corrections Act of 2003, which extends the deadline for the International Mobile Satellite Organization (Inmarsat) to conduct and initial public offering of securities. See, White House release. 6/30. The U.S. Patent and Trademark Office (USPTO) published a notice in the Federal Register announcing and describing amendments to its rules of practice in patent cases. These changes take effect on July 30, 2003. See, Federal Register, June 30, 2003, Vol. 68, No. 125, at Pages 38611 - 38630. 6/30. The Copyright Office (CO) published a notice in the Federal Register announcing and describing technical amendments that it has made to its regulation pertaining to architectural works. This amends 37 CFR part 202. See, Federal Register, June 30, 2003, Vol. 68, No. 125, at Pages 38630 - 38631. The Tech Law Journal Daily E-Mail Alert will not be published on Wednesday, July 2, Thursday, July 3, or Friday, July 4. 6/26. 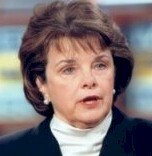 Sen. Dianne Feinstein (D-CA) introduced S 1350, the "Notification of Risk to Personal Data Act", a bill to require government agencies, commercial entities or individuals that own or license electronic databases containing personal information to notify individuals whose information is stored in those databases when the security of the database is breached. The bill provides that "Any agency, or person engaged in interstate commerce, that owns or licenses electronic data containing personal information shall, following the discovery of a breach of security of the system containing such data, notify any resident of the United States whose unencrypted personal information was, or is reasonably believed to have been, acquired by an unauthorized person." (B) Driver's license number or State identification number. (C) Account number, credit or debit card number, in combination with any required security code, access code, or password that would permit access to an individual's financial account." The bill defines "breach of security" as "the compromise of the security, confidentiality, or integrity of computerized data that results in, or there is a reasonable basis to conclude has resulted in, the unauthorized acquisition of and access to personal information maintained by the person or business". The bill is not technology neutral. It covers unauthorized access to electronic records, but not unauthorized access to paper records. Nor does it cover unauthorized paper or verbal disclosures of personal information. The bill provides for enforcement by the Federal Trade Commission (FTC) and state attorneys general. It further specifies fines for violations. Sen. Feinstein (at right) stated that "I strongly believe Americans should be notified if a hacker gets access to their most personal data. This is both a matter of principle and a practical measure to curb identity theft." See, Congressional Record, June 26, 2003, at pages S8738-9. She elaborated that "If individuals are informed of the theft of their Social Security numbers or other sensitive information, they can take immediate preventative action. They can place a fraud alert on their credit report to prevent crooks from obtaining credit cards in their name; they can monitor their credit reports to see if unauthorized activity has occurred; they can cancel any affected financial or consumer or utility accounts; they can change their phone numbers if necessary." Sen. Feinstein stated that "the bill would allow California's new law to remain in effect, but preempt conflicting State laws. It is my understanding that legislators in a number of States are developing bills modeled after the California law. Reportedly, some of these bills have requirements that are inconsistent with the California legislation. It is not fair to put companies in a situation that forces them to comply with database notification laws of 50 different States." The bill was referred to the Senate Judiciary Committee. Sen. Feinstein is a member. The Senate will return from its Independence Day District Work Period. 6/30. The National Telecommunications and Information Administration (NTIA) released a report titled "Electronic Signatures: A Review of the Exceptions to the Electronic Signatures in Global and National Commerce Act". It recommends retaining most of the nine exceptions enumerated in the Act. See also, PDF copy [79 pages]. The Congress passed the Electronic Signatures in Global and National Commerce (E-SIGN) Act in 2000. It was S 761. It is now Public Law No. 106-229, codified at 15 U.S.C. §§ 7001, et seq. The E-SIGN Act provides for the acceptance of electronic signatures in interstate commerce, with certain nine enumerated exceptions. The E-SIGN Act provides, in part, that "Notwithstanding any statute, regulation, or other rule of law (other than this title and title II), with respect to any transaction in or affecting interstate or foreign commerce -- (1) a signature, contract, or other record relating to such transaction may not be denied legal effect, validity, or enforceability solely because it is in electronic form; and (2) a contract relating to such transaction may not be denied legal effect, validity, or enforceability solely because an electronic signature or electronic record was used in its formation." See, Section 101(a) of the Act, codified at 15 U.S.C. § 7001(a). Section 103 (15 U.S.C. § 7003) then enumerates nine categories of exempt records -- that is, records to which Section 101 does not apply. The exceptions are (1) wills, codicils, and testamentary trusts, (2) domestic and family law records, (3) Uniform Commercial Code records, (4) court documents, (5) utility cancellation notices, (6) housing default and foreclosure notices, (7) health and life insurance cancellation notices, (8) product recall notices, and (9) hazardous materials. The E-SIGN Act also tasked the NTIA with writing a report for the Congress on these nine exceptions. The report released on June 30 is this Congressionally mandated report. Specifically, the E-SIGN Act provides that "The Secretary of Commerce, acting through the Assistant Secretary for Communications and Information, shall review the operation of the exceptions in subsections (a) and (b) to evaluate, over a period of 3 years, whether such exceptions continue to be necessary for the protection of consumers. Within 3 years after the date of enactment of this Act, the Assistant Secretary shall submit a report to the Congress on the results of such evaluation." The NTIA published a series of notices in the Federal Register, and in its website, soliciting public comments regarding these exceptions. It received 43 comments. Wills, Codicils, and Testamentary Trusts. The report concludes that "For the states that have not enacted electronic transactions laws, the removal of the ESIGN exception would leave persons in that state free to execute electronic wills, trusts and codicils with software that may not be available at the time the will is probated or its authenticity questioned. Technological and structural systems for preserving software to allow access to the documents for many years or decades in the future have yet to be implemented in state court probate systems. As a result, the removal of the ESIGN exception for wills, codicils, and testamentary trusts could create significant confusion. For these reasons, NTIA recommends the retention of the ESIGN exception for wills, codicils, and trusts." Domestic and Family Law Records. The report concludes that "Family law documents contain extremely sensitive information, often requiring a higher level of protection and confidentiality", and that "states are just beginning to grapple with the issues surrounding utilizing electronic family law documents including authentication and privacy." It also states that "Despite expanding use, the concern persists that until authentication methods and technologies demonstrate consistent reliability, especially where so much depends upon the accuracy of the documents, electronic documents should not be used comprehensively for all family law cases." Consequently, the report concludes that "Further testing and development of technologies in this environment may in time assuage these concerns. NTIA recommends, therefore, that the ESIGN exception for family law documents should be retained in the statute at this time." Uniform Commercial Code Records. The report recommends that "the ESIGN exception for the UCC be retained as part of the statute, but modified to exclude electronic letter of credit transactional records governed by Article 5 and electronic notices governed by Article 6." Court Records. The report concludes that "The federal and state courts have made considerable achievements in the area of electronic transactions and document management systems. Although their advances toward a completed transition to a paperless court process have been significant, there are still important consumer interests that require the protections afforded by ESIGN. For these reasons, the removal of ESIGN section 103(b)(1) exception for court records and documents at this time would be premature. The NTIA recommends its retention as a part of the ESIGN Act." Utility Cancellation Notices. The report recommends that "the ESIGN exception for utility cancellation notices be retained as part of the statute, and modified to allow companies to send electronic notice of utility service cancellations in cases where consumers voluntarily receive electronic billing services under state law." Housing Default and Foreclosure Notices. The report recommends "maintaining the Housing Default and Foreclosure Notices exception." Health and Life Insurance Cancellation Notices. The report recommends "that Congress retain ESIGN's exception for cancellation notices for health and life insurance benefits." Product Recall Notices. The report states that "although ESIGN and state UETA laws require verification or acknowledgment of receipt of the recall notice communication, using electronic mail notices are difficult for manufacturers and producers to monitor because consumers tend to change electronic mail addresses and in most cases they do not provide the new information to the manufacturers and distributors until that information is requested. Moreover, unfortunately, much of the e-mail received by consumers is SPAM, unsolicited messages that offer a variety of products and services or that serve as vehicles for fraudulent schemes, computer viruses and unsavory promotions. There is a high risk that consumers may erroneously treat electronic recall notices as SPAM and delete or ignore the notice. Thus, the intent and urgency of the recall notification would be lost." The report recommends "that Congress retain the ESIGN product recall exception at this time." Hazardous Materials. The report concludes that "Given the significant experience that EPA and the RSPA have in this area, the information presented by these agencies provides compelling evidence that the removal of the ESIGN exception for hazardous and dangerous materials documents would create the potential for dangerous conditions to exist in the hazardous materials transport industry. The risk of information presented in this evaluation indicates that the removal of the exception would pose a significant risk of injury to health and public safety."